Read for This Week’s Study: 2 Pet. 1:19-21; 2 Tim. 3:16, 17; Deut. 6:4; Matt. 28:19; Heb. 11:6; Exod. 3:1-14. Memory Text: “God, who at various times and in various ways spoke in time past to the fathers by the prophets, has in these last days spoken to us by His Son, whom He has appointed heir of all things, through whom also He made the worlds” (Hebrews 1:1, 2, NKJV). Key Thought: However important it is to understand the way in which biblical inspiration works, it’s more important to know the God revealed to us through that inspiration. The heavens declare the glory of God; and the firmament sheweth his handywork” (Ps. 19:1). That’s so true. What they don’t declare, however, is that our God loves us, died for us, and is actively working to save us from the consequences of our sinful choices. The bottom line is that, whatever we can learn about God from other sources, the key source has to be the Bible. There are great truths, especially about the nature of God and His activity in this world, that we would know nothing about were they not revealed to us. As we have seen already, while people can sense something of a battle going on between good and evil, how else would they know of the great controversy were it not taught in the Scriptures? This week we’ll focus on two things: first, we’ll look at what the Bible says about itself and how it was inspired. Next, we’ll see what it teaches us about the God who inspired it. *Study this week’s lesson to prepare for Sabbath, October 13. Read 2 Peter 1:19-21. What do these verses tell us about how the New Testament authors regarded the Scriptures? Peter affirms that the prophecies of the Old Testament were not of human origin. His argument is that the prophets spoke because they were “moved by the Spirit of God.” The expression “moved by the Spirit of God” means that the impulse that led to the writing of the Scriptures was from the Holy Spirit. In short, the Bible writers were inspired by the Lord Himself. Read 2 Timothy 3:16, 17. What do these verses tell us about the Bible and what it’s to be used for? It’s very clear that Paul wished Timothy to understand that because the Scriptures are divinely produced, they are dependable and valuable for the building up of the believer. Paul leaves no question as to Scripture’s truthfulness, authority, and origin. Notice, too, that he is talking about “all Scripture.” Paul doesn’t leave us the option to pick and choose which parts we think are inspired and which parts aren’t. Not everything (such as the ceremonial laws) is still binding on us, but that’s radically different from the claim that some parts of the Bible are inspired and others aren’t, or that some parts aren’t as inspired as other parts (whatever that’s supposed to mean). Read Matthew 4:4, 7, 10; 22:41-46; John 10:34, 35. What crucial truth about Scripture and the authority of Scripture can we take from these texts? No matter what we believe, we need a starting point, a foundation upon which to base that belief. For Seventh-day Adventist Christians, that foundation is the Bible-the ultimate standard and arbiter of truth. How much time do you spend in the Word? How much of your life is patterned by what it teaches? Think back on the past 24 hours. What have you done, or didn’t do, in that time frame that was based on the authority of Scripture? “It is not the words of the Bible that are inspired, but the men that were inspired. Inspiration acts not on the man’s words or his expressions but on the man himself, who, under the influence of the Holy Ghost, is imbued with thoughts. But the words receive the impress of the individual mind. The divine mind is diffused. The divine mind and will is combined with the human mind and will; thus the utterances of the man are the word of God.”-Ellen G. White, Selected Messages, book 1, p. 21. How do these words help us to understand how biblical inspiration works? In the whole question regarding inspiration, people sometimes get obsessed with what are often deemed as problematic texts. Consider, for example, the wording of the inscription above Jesus’ cross as depicted in the Gospels. According to Matthew 27:37, it said, “THIS IS JESUS THE KING OF THE JEWS”; according to Mark 15:26, “THE KING OF THE JEWS”; according to Luke 23:38, “THIS IS THE KING OF THE JEWS.” How are we to understand these differences? As the Bible says, “all Scripture is given by inspiration of God” and is trustworthy; yet, we are given different accounts of the inscription on Jesus’ cross. These two points together can give us insight into the way in which inspiration works. This case shows that inspiration permits different expressions of an idea or event to the extent that the expressions adequately depict it. Where a general approximation is an adequate expression, as in the inscriptions on the cross, inspiration accommodates it. On the other hand, where specificity is required, as in 1 Kings 6:1, inspiration provides it and should be accepted as such. Compare Acts 1:18 and Matthew 27:5. In what ways do these accounts of Judas’ death seem to differ? For a long time, critics of the Bible claimed that these verses gave conflicting accounts of Judas’ death. However, recent research has shown that the word translated as “falling headlong” in Acts 1:18, also means “swelling up.” Therefore, it’s likely that, after hanging himself, Judas was not discovered until his corpse had swelled up, which had caused his guts to burst open. The point is, what at first seemed to be contradictory is now shown not to be. The vast majority of the Bible is not problematic. In the few places where some questions remain about apparent “errors” or “contradictions,” the prudent attitude would be humility. Who knows how many people have made a shipwreck of faith by focusing on “problem” texts. We have not been called to stand in judgment over the Word; we have been called, instead, to obey it. “And God said, Let us make man in our image, after our likeness” (Gen. 1:26). Understanding how inspiration works, however important, is only a means to an end, and that end is to know God. A deep understanding of how the Bible was written, or even a deep understanding of the truths revealed in it, mean nothing if we don’t know the Lord for ourselves (John 17:3). And one thing that the Bible explicitly affirms about the Lord is His oneness. Read Deuteronomy 6:4 and Mark 12:29. What crucial truth is found in these texts? The expression in the Bible about the oneness of God precludes any idea of many gods. There is one God only. However, the total picture we get from the Bible is that there is an inner “content” to Him, even in His oneness. Read Genesis 1:26, 3:22, 11:7; John 1:1-3, 18; 20:28; 2Corinthians 13:14; Matthew 28:19. How do these texts begin to clarify the inner reality of God? The Old Testament’s suggestion of plurality provides hints about the nature of the inner being of God. When we couple this with the New Testament’s statement about Jesus Christ and the Holy Spirit, we start to realize that there’s a lot about God’s nature that we don’t fully understand and probably never will. The triune aspect of God is one mystery, among many, with which we will have to learn to live. The information that the Bible gives about God, including His three-part nature, is not provided in order for us to engage in speculative philosophizing but in order to further our understanding of His activities, especially His redemptive work on our behalf as the great controversy unfolds and is finally ended. Who doesn’t have a lot of questions that only God can answer? How can we learn to trust Him until the time comes when answers will be given? The Bible reveals to us truths about God that we aren’t going to find anywhere else. Among those truths is that He is the Creator. In fact, that’s the first thing the Bible tells us about God, that He created “the heavens and the earth” (Gen. 1:1). One of the many fascinating things about this text is that the Bible simply assumes the existence of God without trying to prove or show it. The Bible spends a great deal of time teaching us about what God is like, particularly as His character is revealed through His interaction with fallen humanity. But it spends no time trying to prove that He exists. It just assumes His existence. Read Hebrews 11:6 and Romans 10:17. What do they say about God and the role that His Word plays in bringing us awareness of His existence? Conviction about the existence of God cannot come from rational arguments alone. The Bible teaches that a person is convinced of God’s existence through personal experience with Him as the Holy Spirit impresses one’s heart and mind with the fact of His existence. In many cases, people may come to believe in God first; only after, then, do they start to build a logical and intellectual foundation for faith in a God whom they cannot see. 2 Chronicles 6:18. What do these texts tell us about the attributes of God? What other attributes of God are revealed in the Word? Dwell on the attributes of God as expressed in the Scriptures. How many of them could you know from other sources; that is, from nature or from personal experience? What does your answer teach you about how crucial the Scriptures are to our understanding of what God is truly like? Even the most cursory reading of the Bible reveals that God is actively involved in humanity and in what happens here on earth. He is not distant, detached, removed, as some ancient Greek concepts of God taught, or even as some Christian theologians try to depict Him. Though radically different from what He created, the Lord has intimately tied Himself to His creation. As we saw yesterday, the Bible depicts the Lord as our Creator, an act that shows just how intricately tied to this world He really is. What do the following texts tell us about God’s other activities here on earth, especially in the context of the great controversy? Without doubt, the Bible reveals a God who is greatly involved with humanity. The whole great controversy scenario is, really, about how the Lord is working to save humanity from the clutches of sin and Satan. From the first act of the earth’s creation (Gen. 1:1) to the cross (John 19:18) to the recreation of the earth (2 Pet. 3:12, 13), the Bible shows us unequivocally the Lord’s intimate activity with humanity. In what ways have you, personally, experienced the activity of God? In what ways have you seen Him work in your life and in the lives of others? In what ways can you learn to draw comfort from knowing God’s closeness and intimacy with us? Read Ellen G. White, “Danger in Speculative Knowledge,” pp. 427-438, in The Ministry of Healing; “The Word Made Flesh,” pp. 746-749, in Testimonies for the Church, vol. 5; “Preface” and “Introduction,” pp. 5-7, in The Great Controversy. “God has been pleased to communicate His truth to the world by human agencies, and He Himself, by His Holy Spirit, qualified men and enabled them to do this work. He guided the mind in the selection of what to speak and what to write. The treasure was entrusted to earthen vessels, yet it is, nonetheless, from Heaven. The testimony is conveyed through the imperfect expression of human language, yet it is the testimony of God; and the obedient, believing child of God beholds in it the glory of a divine power, full of grace and truth. “In His word, God has committed to men the knowledge necessary for salvation. The Holy Scriptures are to be accepted as an authoritative, infallible revelation of His will. They are the standard of character, the revealer of doctrines, and the test of experience. ‘Every scripture inspired of God is also profitable for teaching, for reproof, for correction, for instruction which is in righteousness; that the man of God may be complete, furnished completely unto every good work.’ 2 Timothy 3:16, 17.”-Ellen G. White, The Great Controversy, pp. 8, 9. How confident can we be about our conclusions concerning God apart from information we may obtain from the Bible? Is there any room at all for an understanding of God from other sources? If so, what are those sources, and how can we be sure that the information they give us is correct? Why is any worldview that denies the supernatural in fatal contradiction to the Word of God? Science and technology have, in many ways, been a great blessing to humanity. In some ways, too, science has helped us to better understand the power of God (for instance, look at what it has shown us about the utter complexity of life!). What, though, are the obvious limits to what science can teach us about God? When, too, can science work against a true understanding of God? Why is the doctrine of a triune God (no matter how difficult to understand) so important to us as Seventh-day Adventists? Think what it would mean, for instance, if Christ were anything other than fully God? More than half the world's population lives in cities, yet the Adventist work in the cities languishes. God has a heart for cities. Speaking of Nineveh, He asked, "Should I not be concerned about that great city?" (Jonah 4:11, NIV). When Jesus came to this earth, He "had compassion on [the people] because they were harassed and helpless, like sheep without a shepherd" (Matt. 9:36, NIV). Jesus showed how to minister. He mingled with people, showed sympathy, ministered to needs, won confidence, and bid them to follow Him. Pastor Wayne Krause helped plant a church in an area north of Sydney, Australia, where thousands of families live who have never entered a church. One day a young man asked two women from the church to take him to a methadone clinic for treatment. They agreed, and then prepared this young heroin addict a hot meal. The young man started attending church. Each Sabbath afternoon members drove him to his methadone treatments. And when he had to appear in court, several church members went to support him. After the trial the young man's mother approached the members who were helping her son. She asked if she could visit the church. A few weeks later a group of people clad in black leather and heavy metal entered the church and sat in the front row. Pastor Krause changed his sermon to the great controversy between good and evil. After worship Pastor Krause met the visitors and learned they were the family of the young addict. They had come to see what kind of church showed such love to their son and brother. They asked Pastor Krause how they could be on God's side. He explained the plan of salvation, and they prayed to make Jesus the center of their lives. None of them had a Bible, and the only Bibles Pastor Krause could find were in the lost and found. He offered them to his new friends and showed them where to start reading. One young man, a singer in a rock band, received a tattered Bible. Pastor Krause offered to find him a nicer one, but as that young singer gently stroked the Bible, he said, "No, please, I've never had a Bible. It's mine." Every city in the world is filled with people hungry for something better. They are sons and daughters of God, but they don't know it yet. Our commission is to go into the entire world to share God's love. That includes the cities. They're waiting for us; what are we waiting for? 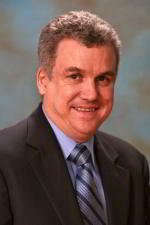 Gary Krause is director of Adventist Mission at the General Conference.